Synthetic grass Turf | Putting Greens | Lawn Turf Playgrounds | Game Courts | Landscape Design – Green Links, Inc.
No more mowing, watering or edging. 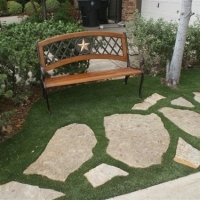 Our artificial turf has the look and feel of natural grass. Plus, it looks great year round. Let us design a simple putting green or replicate a complex PGA tour green, right in your own backyard. Consistent surfaces, quick drainage and fall zones make artificial turf a safe and enjoyable play surface. A nationwide network of superior installers of artificial putting greens and grass. 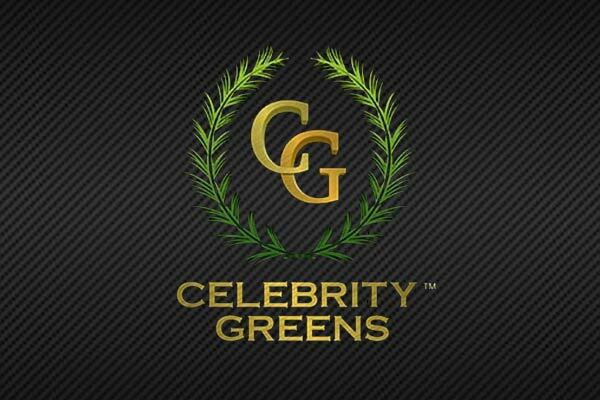 Green Links is the exclusive Celebrity Greens partner in Houston. Green Links, Inc., Houston based and locally owned, is the premier synthetic turf golf putting green, playground and lawn grass provider in the region. Green Links designs and installs residential and commercial projects across the Greater Houston area, Southeast Texas and Southwest Louisiana. Our team’s 15 years of experience designing and installing synthetic turf solutions result in unsurpassed quality and performance. Our attention to detail, use of high quality U.S. manufactured products, and being at the forefront of developing new technologies make us the best to deliver your synthetic turf solutions. Our installation team is composed of full time professionals who have over 65 staff years of synthetic turf grass experience. The installation teams have the refined skills and applied knowledge that result in country club quality putting greens, lawn surfaces that look beautiful and perform well for many years and inviting, comfortable playgrounds that can include fall zone compliant surfaces. Get a Free Artificial Grass Putting Green Or Synthetic Turf Landscaping Design Estimate Today! Green Links is the foremost synthetic turf putting green provider in the greater Houston region. We are the best because of our experience, products, technology and most importantly our people. This business originated as a putting green company because of the owner’s lifelong passion for golf. We have consistently strived to be and remain the best. Golf greens make wonderful practice and entertainment centers. Our greens are soft and receptive to pitch shots played from remote synthetic turf tees enabling customers to create full short game practice centers. By complementing the greens with sitting areas, stone work, water features and other landscaping, we create a well-integrated setting that adds value and enjoyment to homes and businesses. Synthetic turf lawns have experienced a rapid growth in popularity across the Houston area. They create beautiful inviting surfaces that look consistently good throughout the year. The turf lawns provide solutions to many lawn issues; too much shade, constantly wet areas, worn areas and allergy and insect sensitivities. 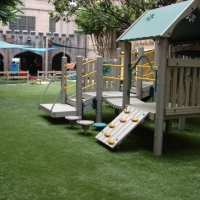 Playground surfaces have become a popular application for synthetic turf. The turf creates a clean, soft, durable and safe fall zone compliant surface for play areas. Green Links has become an area specialist for playground applications. We have renovated over 30 commercial playgrounds around the area including complete playground upgrades. Our commercial playground experience also helps us create beautiful and safe play surfaces for residential customers.